Do You Understand the Need for Timberland Liability Insurance? Many landowners are unaware of the risks associated with land ownership. Outdoor Underwriters can help you understand and reduce the risks for which you can be held liable. Our insurance program is designed to help protect landowner’s assets from accidents that occur on privately-owned timberland tracts. Do you know your liability if you allow recreation on your property and someone gets hurt? Do you know your liability if a trespasser or guest is injured on the property, or causes injury to someone else? What does common law require you to provide to invited or uninvited guests? Do you know how to mitigate your exposure to (liability risk?) risk? The only way to protect yourself and your timberland assets is to have the correct answers to the above questions. After understanding the answers you will know that your protection starts with a risk management plan that includes a Preventative Maintenance Program combined with Timberland Liability Insurance. Under common law, landowners are required to provide specific Degrees of Care to protect invited or uninvited individuals on their property. A trespasser is an individual who enters land uninvited without the owner’s knowledge or consent. Landowners have the least amount of responsibility to a trespasser, but can still be held accountable for injuries resulting from gross negligence and willful misconduct. A licensee is an invited guest to the property that has no economic value to the landowner, such as a hunter who has been invited to use the property without paying a fee. Landowners are responsible for warning licenses of any hidden dangers on the property. In the case of a lawsuit, landowners will be responsible for retaining a lawyer to clear themselves of any negligence. An invitee is an individual or group of individuals who have been expressly invited on the property. Remove known hazards and make guests aware of boundaries and other hazardous conditions. 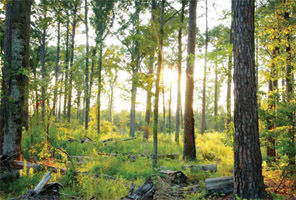 Timberland Liability Insurance provides additional coverage to landowners, protecting their timber investments as well as their personal finances, if a liability suit were to arise.